If you have loose, missing, or misshapen teeth, dental restoration can give you the beautiful smile you deserve. At Dental Star New Jersey in Englishtown, New Jersey, Dr. Vladimir Potepalov and his dental team restore imperfections by correcting misshapen, crooked, loose, or jagged teeth to improve your confidence. Call to learn more about dental restorations or book an appointment online today. 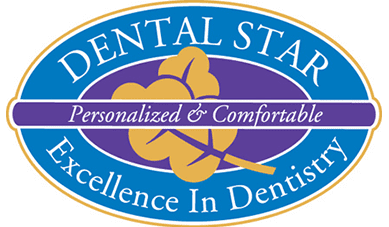 At Dental Star New Jersey, Dr. Potepalov and his team offer numerous dental restoration procedures to make your smile beautiful, relieve pain, and boost confidence. Dr. Potepalov may recommend one or more dental restoration procedures to perfect your smile, depending on your individual needs and preferences. Which dental restorations will I need? You might require root canal therapy if your tooth’s nerve is infected, in order to save the tooth. Dr. Potepalov removes bacteria in the pulp of the tooth and fills the empty space with restorative dental materials to prevent future infections. Dr. Potepalov repairs damaged teeth using inlay and onlay restorations, which are custom-made fillings that are highly durable and last many years. Such fillings are made of tooth-colored composite materials to repair fractured teeth, broken teeth, decayed teeth, and damaged fillings. Crowns are like caps that cover the entire surface of your tooth to restore it to its original size and shape. Crowns protect and strengthen teeth that can’t be fixed with fillings. Tooth-colored porcelain crowns are popular, as they blend in with natural teeth and are long-lasting. Dental bridges help bridge the gap of missing teeth. Bridges consist of crowns that cover your existing teeth, and artificial teeth that fill in the gaps of missing teeth to restore your smile. If you’re missing multiple teeth, Dr. Potepalov may recommend complete or partial dentures. Complete dentures are artificial teeth needed when you’re missing all your teeth, and partial dentures are customized to fit in with your remaining natural teeth. When you’re ready to improve the appearance of your smile and get the boost of confidence you desire, call Dental Star New Jersey today or use the online scheduling tool.